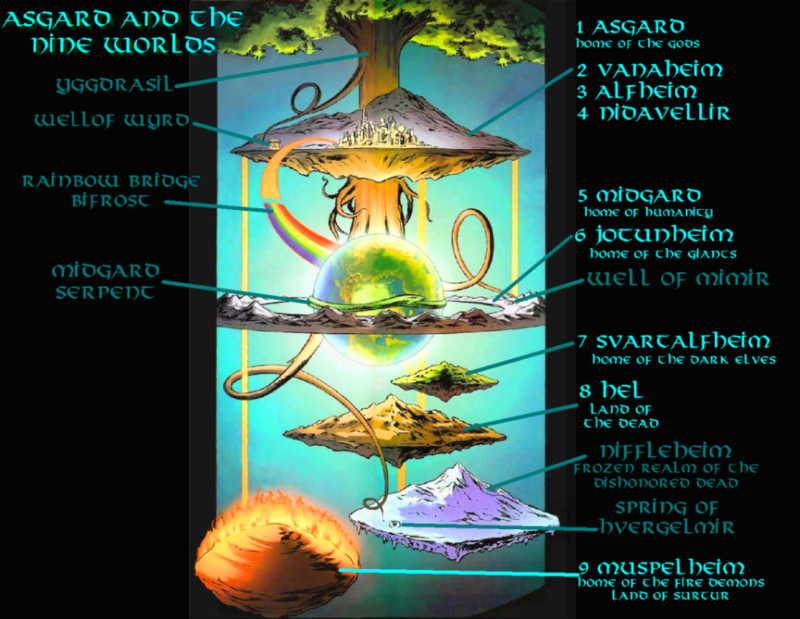 Is it mentioned anywhere in the scriptures how big the ancient Norse believed the Nine Realms of their myths were? If you take the realms as parts of the earth (as some scholars do) some realms were as big as today's Germany, some about the size of Denmark (The Prose Edda, page 14). Not the answer you're looking for? Browse other questions tagged norse world-tree or ask your own question. Who were the weapons-makers for the Norse gods? How did the Norse ship burial ritual originate from?